Mimi’s House is an early intervention program that supports primary school aged children at risk of falling out of the school system in the Moreton Bay region. Mimi’s House is a program within Hope Centre Services (HCS). 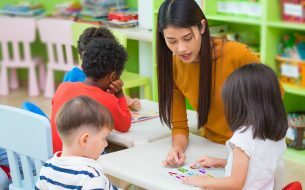 It provides a child centred, early intervention support service for at risk children five to 10 years old from Indigenous, Pacific Islander and other low socio-economic background children, who are finding it difficult to develop emotionally, socially and academically at school. 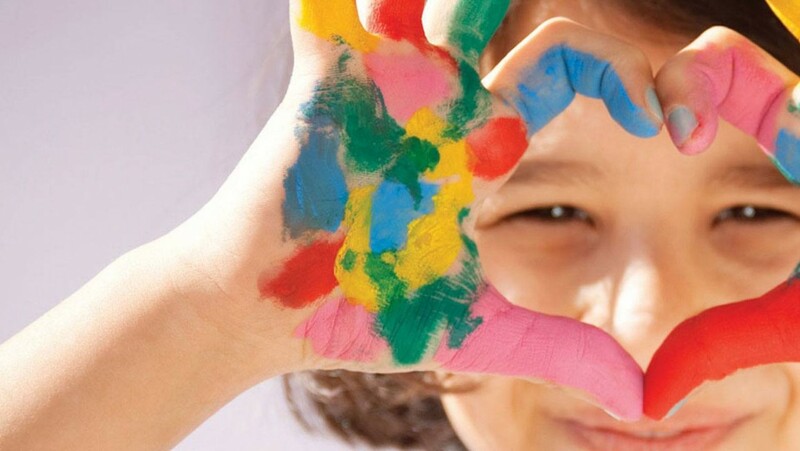 To build strength, hope and resilience into the lives of children experiencing severe disadvantage, with equal opportunity to access high quality education and to develop the skills to participate fully in society, regardless of background. This venture aims to break the cycle of welfare dependency in the Moreton Bay region. 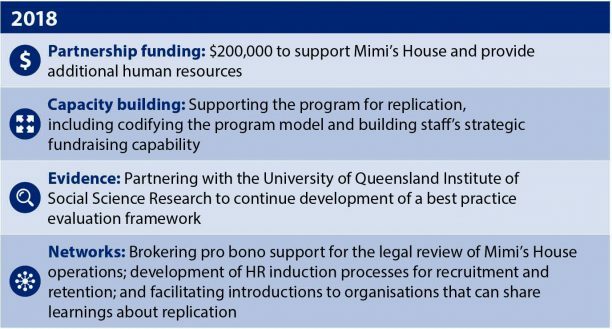 SVA is supporting Mimi’s House to refine and embed the Mimi’s House model, replicate the program and build an evidence base that supports wider adoption. 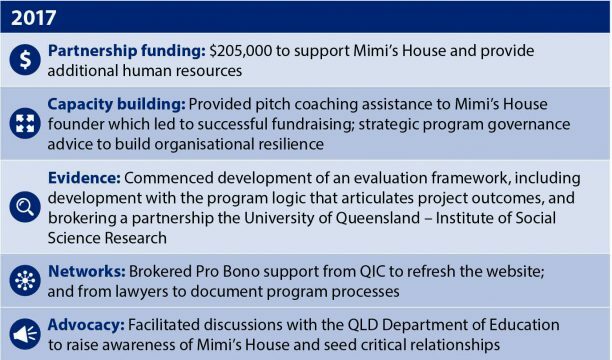 Mimi’s House joined the SVA venture philanthropy portfolio in November 2016. * NAPLAN 2015 Outcomes, Moreton Bay Education – School Completion, Australian Social Trends March 2011 Year 12 Attainment and How to adopt a school-wide approach with PBL. 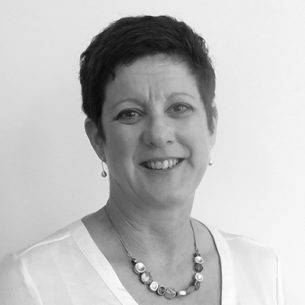 Restacking the Odds aims to sustainably improve outcomes for disadvantaged children in Australia by reducing developmental inequities, to enable all children to make the most of their potential. Once were SVA: where are they now? 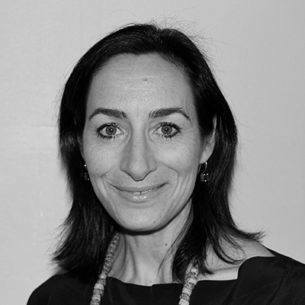 In this special SVA Quarterly article, we catch up with six people who used to work with SVA to find out what they are doing now, and how their time at SVA shaped what they do.